On June 2, 1887, Liberal Party leader Edward Blake resigned due to illness. He designated Wilfrid Laurier as his successor. 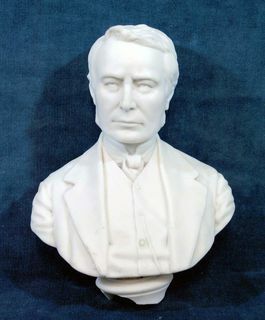 Laurier, a good friend of Blake, had shown his abilities and visionary spirit in the House and Blake felt he warranted the position. At first, Laurier did not wish to accept this important position. He felt that he had neither the health nor the political muscle to assume the leadership of the Liberal Party of Canada. His friends and colleagues assured him that he was worthy of the mandate. On June 18, 1887, after several days of reflection, Laurier accepted the title of leader, stressing that he was assuming the mandate temporarily until Edward Blake’s return. Privately, Laurier did not believe that a mere French Canadian could hold such a position in a federal party and lead it to head the country. Never before had such a thing been done. Edward Blake never returned as the leader of the Liberal Party. The interim position became permanent for Laurier when he led his troops in the election of March 1891. Laurier suffered his first defeat as the party’s leader. Resilient, he did not worry and set his sights on his next challenge: gathering his members and creating a national congress to cement the party’s ideas in preparation for the next elections. He wanted to create and govern a united Canada in the image of one and all.